Sequences of candles are encoded into an integer according to the following rule. The code number must be converted to binary form and the highest bit must be discarded. The resulting sequence of bits encodes a continuous sequence of candles, where 1 is a bullish candle, 0 is a bearish candle. The higher bits encode the earlier candles. For example: 19=10011, the obtained sequence of candles is [bear][bear][bull][bull]. 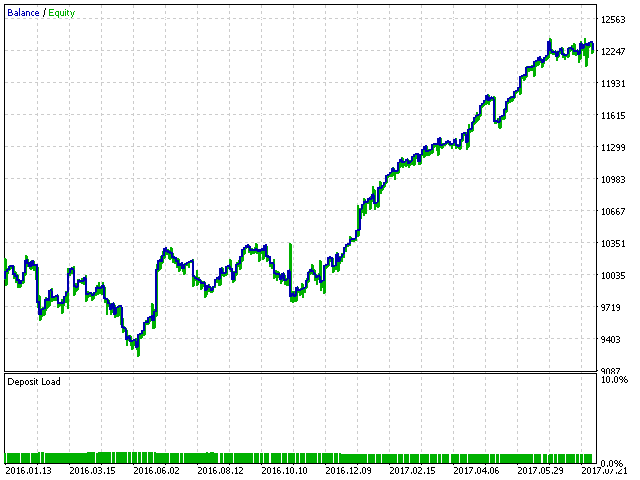 In the input parameters, the patterns for buy signals are encoded. The EA obtains the patterns for sell signals by inverting the initial patterns. 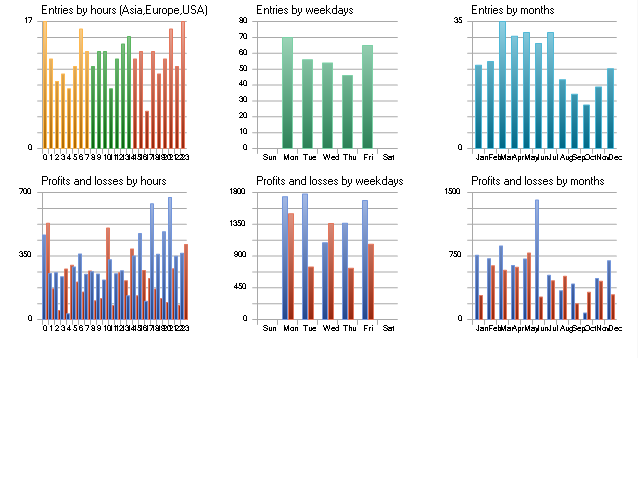 Code Set - string parameter that contains numbers separated by comma - codes of candlestick patterns for buying, used in trading and in testing of the EA. Code - numeric parameter, that contains the code of the candlestick pattern of the buy signal, used in optimization of the EA. Stop Loss - loss fixing level in points. Take Profit - profit fixing levels in points. 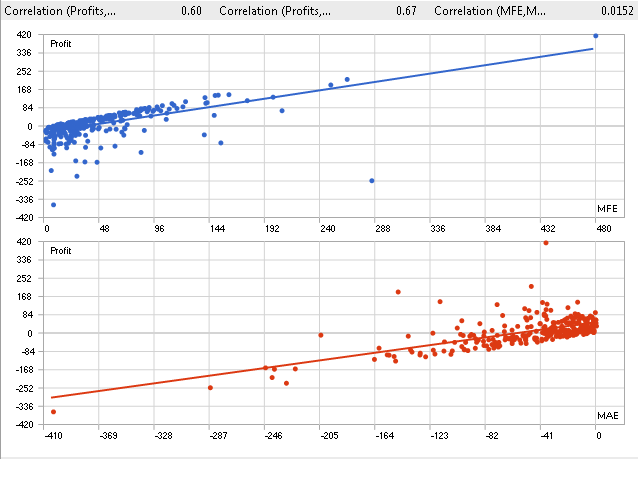 The screenshots demonstrate the backtesting results. The Expert Advisor was tested on EURUSD H1 in the "Every tick" mode from 04.01.2016 to 13.08.2017, with the values Code Set=34, Lot=0.1. Input parameter Orders Type added. It allow to limit type of positions: only buy or only sell. There was changes made for correct work on hedging accounts. 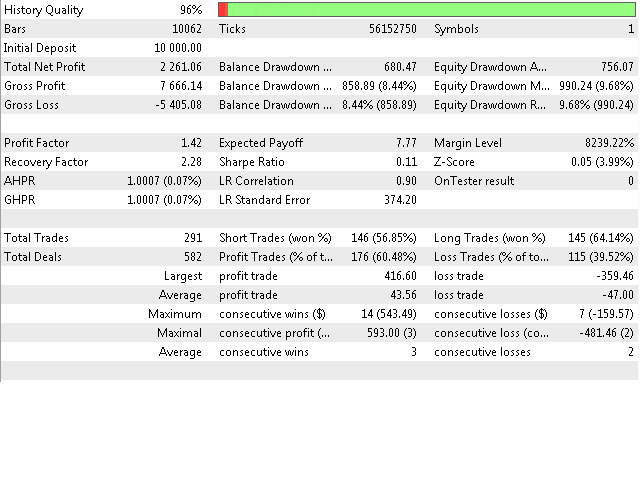 Added input parameters Stop Loss and Take Profit in points.